Some cask strength Australian whisky here. Pine resin, retsina, Sherry soaked sultanas, buttery pastries, rose petals. Syrupy, amazing floaty caramel, whipped cream, dry cake spices, dried green herbs, marzipan, rose water. Wood polish, maple syrup, sultanas, ham, cola, cloves. Tobacco, cured meats, maple syrup, warm cola, loads of sultans. Leather, wood, crushed ants, smells really like Australian bush kangaroo poo and eucalyptus (but in a good way). Bitter chocolate, cloves, loads of vanilla and a super creamy finish with a hint of red gum smoked ham. 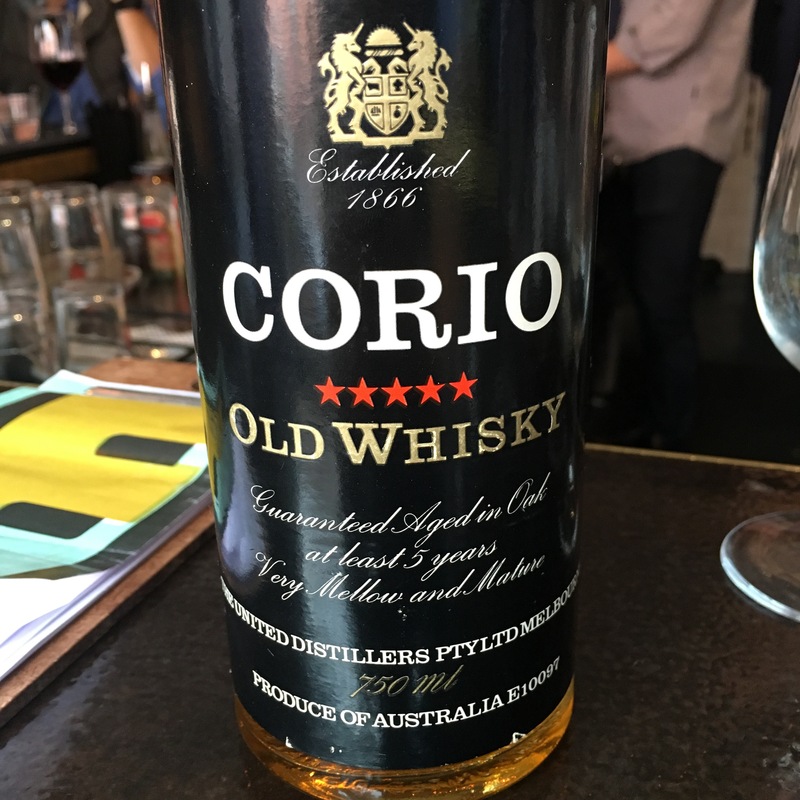 They also had this bottle of Corio Whisky at Bad Frankie, but it wasn’t for sale! Out of the bottle it had a lovely Xmas pudding nose.